A secluded sanctuary on one of Thailand’s less visited islands, Santhiya Koh Yao Yai Resort & Spa is ideal for couples and families looking for a very private vacation in a stunning location. 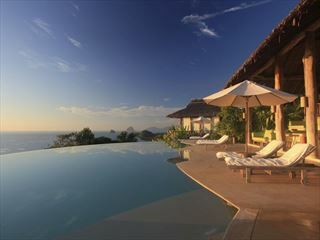 The huge free-form pool and a range of daily activities make this both a fun and relaxing place to stay. 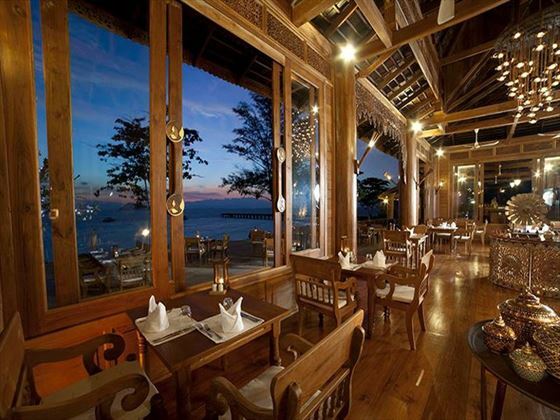 And as the resort overlooks the ocean you’ll be treated to breath-taking sunsets to end each day. Set across 38 acres on a hillside, the grounds are relatively hill. However, there are regular running vehicles to transport you around the resort, taking you direct from your room to the beach. 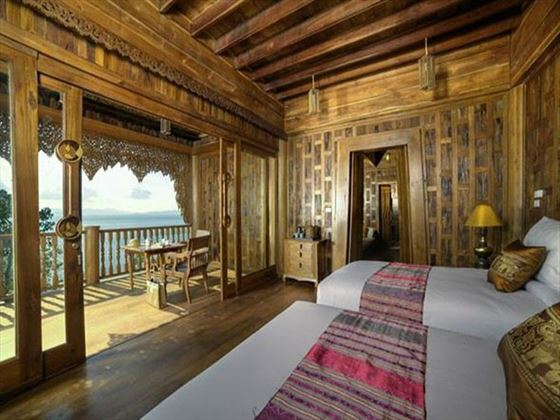 The stylish and comfortable accommodations have been built using beautifully carved wood that has been reclaimed and recycled – confirming its status as an eco-luxury resort. 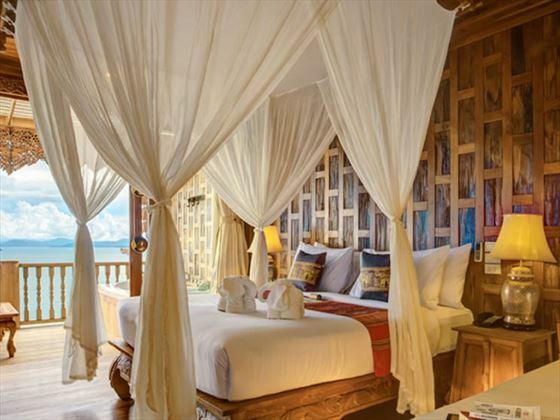 Further reading: Santhiya Koh Yao Yai Resort & Spa is featured in our guide to the top 10 luxury hotels in Thailand. 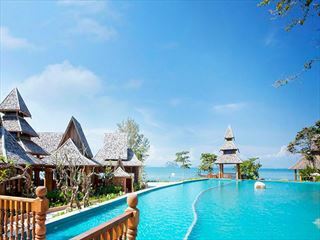 Nestled amongst 38 acres of verdant green hillside, the resort is located towards the south-west of the blissful Koh Yao Yai Island. 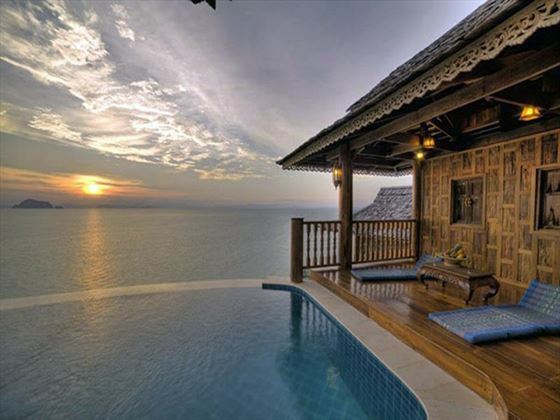 The views are spectacular; overlooking an endless horizon of glistening turquoise ocean, and you can outline the silhouettes of other islands in the distance. 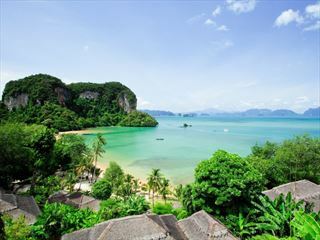 Koh Yao Yai is one of two islands, the other being Koh Yao Noi, both of which are found halfway between Phuket and Krabi, in the centre of the beautiful Phang Nga Bay. 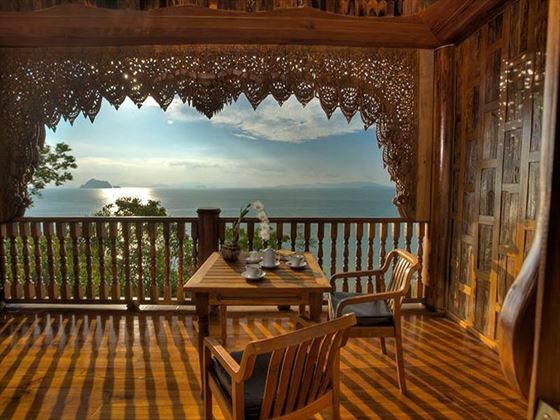 Koh Yao Yai is the larger island of the two, and you’ll be welcomed to a slower, more traditional way of life here. Hiring a motorbike or bicycle is certainly a must during your stay on this island, with incredible landscapes of lush coconut groves, rubber plantations, little villages and serene beaches explore. The beach at your resort is tucked in to a beautiful bay, and is the perfect spot for sunbathing and taking romantic strolls along in the evening.